IQMS organization development’s practices evolved over years of working with clients to improve organizational performance and productivity. Initially, we tended to work with the elements separately until we gradually realized that all of the parts work together comprehensively. We’ve place leadership gravity at the center because we see leadership as the force that pulls all of the other aspects of the organization into alignment, creating conditions where the whole is more than the sum of the parts. The strategic component deals with the overall vision, mission and strategic intentions of the organization. Climate deals with the culture norms and values of the organization. Culture needs to be aligned with strategy. Talent pertains to having the right people with the right skills and attitudes doing the right jobs. Connections deal with the linkages and communication infrastructure that helps to maintain alignment across all parts of the organization. 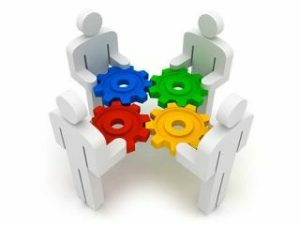 Work systems deal with aligning organizational structures and groupings around workflow. Metrics deal with establishing ways of measuring and evaluating results. It is the basis for individual and organizational accountability. IQMS objective of Organization Development (OD) is to improve the organization’s capacity to handle its internal and external functioning and relationships. This would include such things as improved interpersonal and group processes, more effective communication, enhanced ability to cope with organizational problems of all kinds, more effective decision processes, more appropriate leadership style, improved skill in dealing with destructive conflict, and higher levels of trust and cooperation among organizational members. IQMS’s OD practice provides a wide range of development activities, consulting and appraisal services to help the organizations in organizing and managing their process for the organization development.